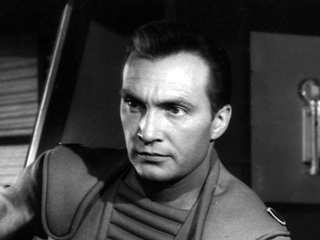 Warren Stevens, the actor who appeared in the sci-fi cult classic Forbidden Planet, has passed away. Mr Stevens played the character of Doc alongside Leslie Nielsen in the film, one of the many ill-fated characters killed by an invisible monster prowling the planet. 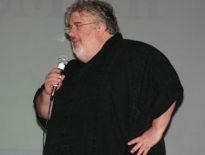 While he never achieved fame as a film star, Stevens did appear in a number of low grade efforts, including Phone Call From A Stranger, Nellie and Gorilla At Large. His primary vocation was in television, and he guest starred in a huge number of shows through the 60’s, 70’s and 80’s. Among the serials he made appearances in were Perry Mason, The Man From UNCLE, The Mod Squad, Mission: Impossible, Voyage To The Bottom Of The Sea, Star Trek, Gunsmoke, Bonanza, Rawhide, and most recently in a 2006 episode of ER. 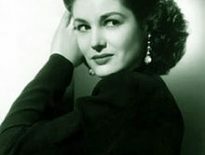 Mr Stevens passed away in Los Angeles on March 27th, aged 92.